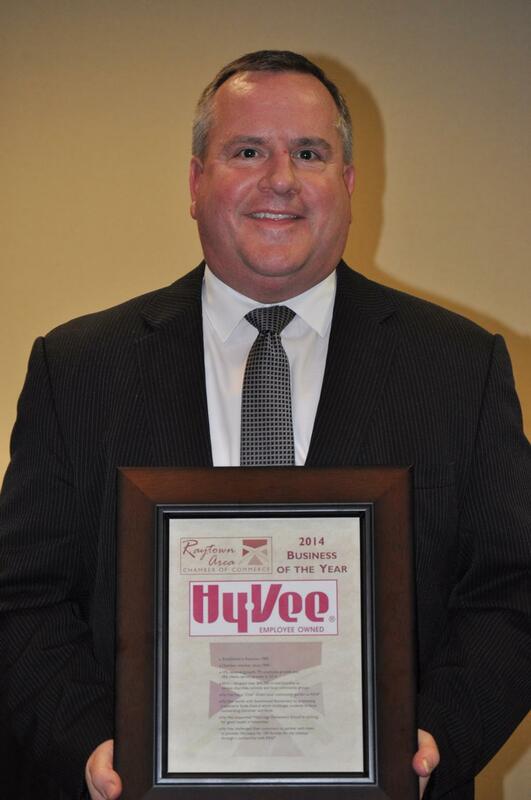 Insulation professional, David de la Fuente of Star Companies, Inc. in Raytown, Mo. 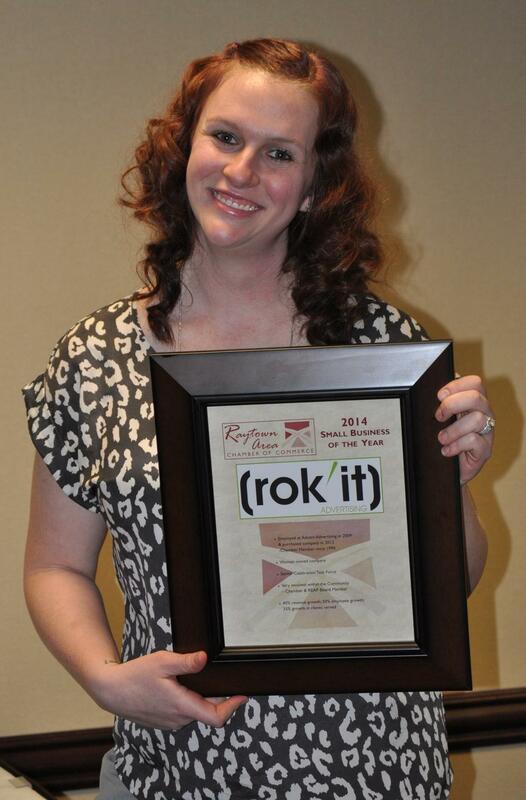 secured the title and $10,000 grand prize at the 15thannual America’s Best Installer competition on Oct. 14. De la Fuente competed against 26 insulation installers from across the country in the skill-based competition at the EXDO Event Center in Denver. 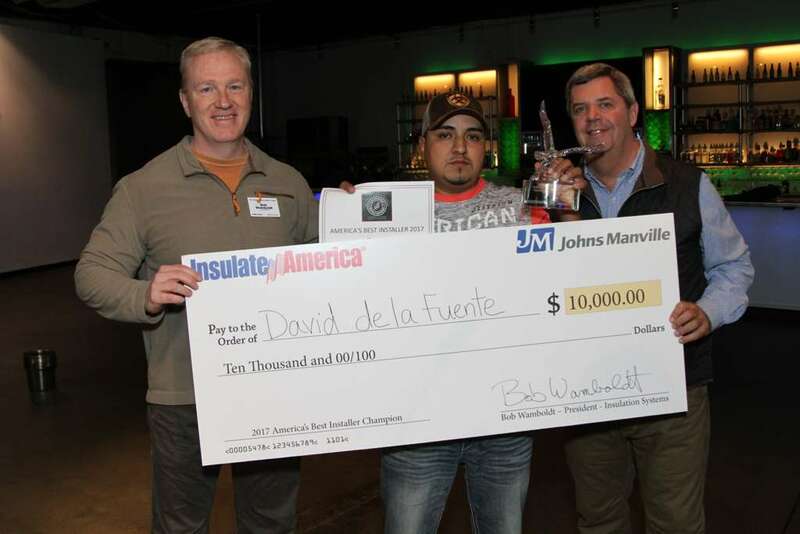 De la Fuente exceeded the performance of his competitors in the fast-paced competition which consisted of installing JM formaldehyde-free insulation batts into mock home structures. Expert judges evaluated each competitor based on real job site criteria, including workmanship and install quality, speed, material use, and reaction to different obstacles, such as pipes, vaulted ceilings and electrical outlets. Westridge Gardens Rehabilitation & Health Care Center — owned and operated by Tutera Senior Living & Health Care — has been recognized byU.S. News & World Report on its annual “Best Nursing Homes 2015” list. The prestigious recognition marks the community’s third consecutive year to earn a five-star rating for its consistently high standard of quality care. Westridge Gardens is a 120-bed skilled nursing facility located in Raytown, a suburb of Kansas City, Mo. To qualify, Westridge Gardens Rehabilitation & Health Care Center had to earn an overall five-star quality rating from Nursing Home Compare, a program run by the Centers for Medicare & Medicaid Services, the federal agency that sets and enforces standards for nursing homes. Each year, U.S. News & World Report awards a “Best Nursing Homes” designation to facilities that earned the agency’s highest overall rating of five stars for performance in three categories: state-conducted health inspections, how much time nurses spend with residents, and the quality of medical care. Westridge Gardens’ profile on the US News & World Report website now displays a “Best Nursing Homes” badge to recognize their status as one of America’s best nursing homes. Only 22 percent of all nursing homes in Missouri earned an overall five-star rating. 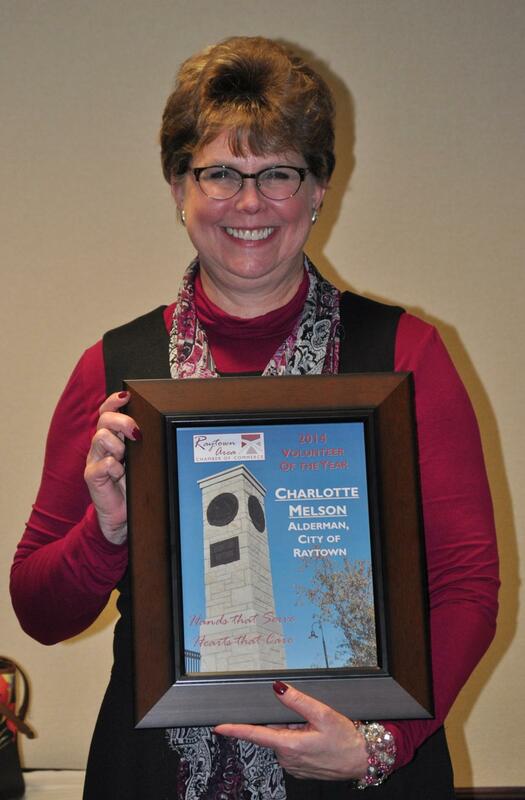 Westridge Gardens’ record of success also includes being recognized locally as the “Business of the Year” by the Raytown Chamber of Commerce in 2013. For more than 20 years, Westridge Gardens Rehabilitation & Health Care Center has provided a safe, residential environment offering a range of services including 24-hour skilled nursing care; physical, occupational and speech therapy, and short and long-term rehabilitation. As one of the nation’s premier senior care providers, Tutera Senior Living & Health Care operates 47 senior living communities in 13 states. 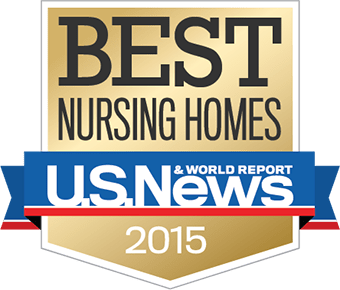 Now in its seventh year, the U.S. News & World Report’s Best Nursing Homes 2015 highlights the top nursing homes in every state and nearly 100 major metropolitan areas. It is designed to help the several million Americans who will spend at least some time in a nursing home in 2015 rehabbing after a hospital stay or as long-term residents. On a given day, 1.4 million people, most of them 65 and older, live in nursing homes, according to U.S. News & World Report. U.S. News & World Report evaluated nearly 16,000 facilities across the country for its annual report. Best Nursing Homes provides data and information on care, safety, health inspections, staffing and more for virtually all U.S. nursing homes. A searchable database lets users find highly rated nursing homes by distance as well as by location. Each facility’s profile displays health and fire safety violations, performance in important clinical categories and how much time nursing staff spends with residents. Tutera Senior Living & Health Care is a locally-owned diversified post-acute senior health care provider operating 47 senior living communities in 13 states throughout the United States. As one of the nation’s premier senior care providers, Tutera Senior Living & Health Care offers its residents independent living, assisted living, skilled nursing, post-surgery rehabilitation, memory care and home health and hospice care. In 1983, Dominic F. Tutera MD founded Tutera to provide compassionate patient care with the uncompromising values of integrity, accountability and commitment. Tutera Senior Living & Health Care still embodies those values today. Tutera is committed to making a positive difference in the lives of its residents and their families through senior living and health care experts who inspire and promote individuality and personal happiness. For more information, visit www.Tutera.com. Attorney General Chris Koster was the featured speaker at this years Raytown Chamber of Commerce Luncheon. Most of his speech was non-partisan in nature, except when it came to health care. Koster repeatedly hammered his position that it makes no sense to refuse to accept the $2 billion in federal funds that Missourians have actually paid $1.8 billion in taxes towards. That we get our money back, create health care jobs with it, and if the terms change in the future we can drop out of it. 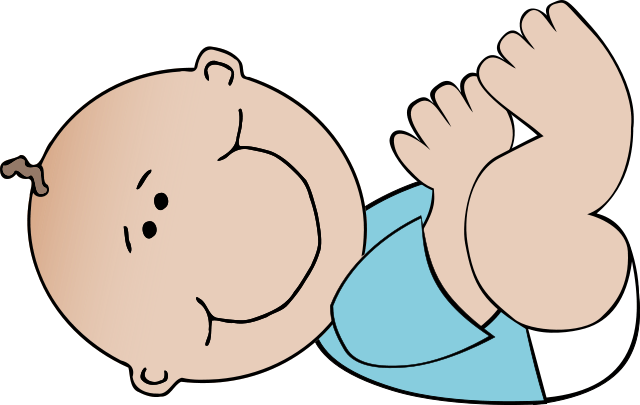 AG Koster was an animated speaker, as the video below will show. Regretfully many times RaytownOnline did not follow his movements well enough to keep him inside the video frame. 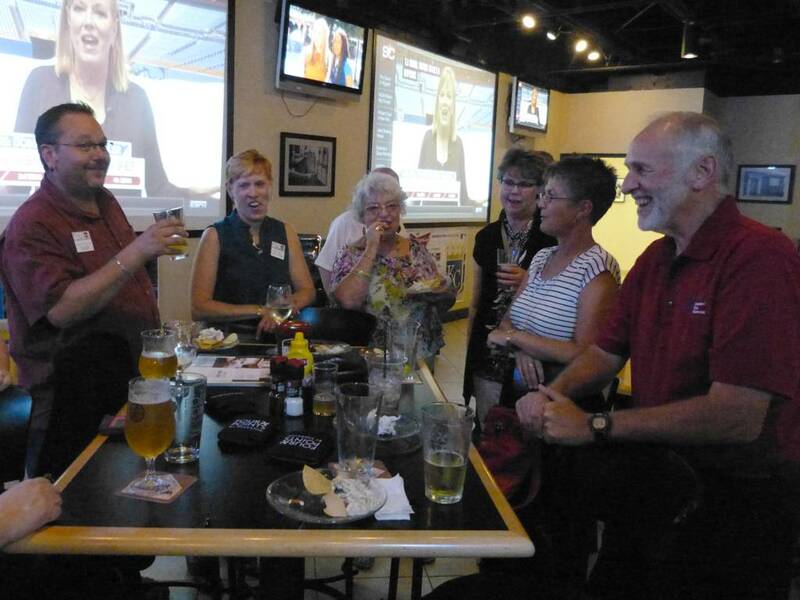 The turnout may have been a little low due to events at the stadium, but those that were able to fight their way through the traffic enjoyed excellent food and drink at the Four Points by Sheraton. 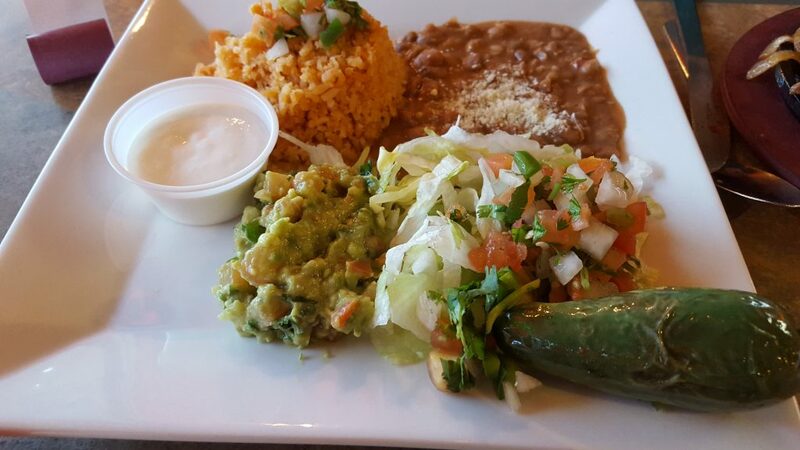 The Raytown Chamber of Commerce holds monthly after-hours networking events and this was one of the tastiest this year. 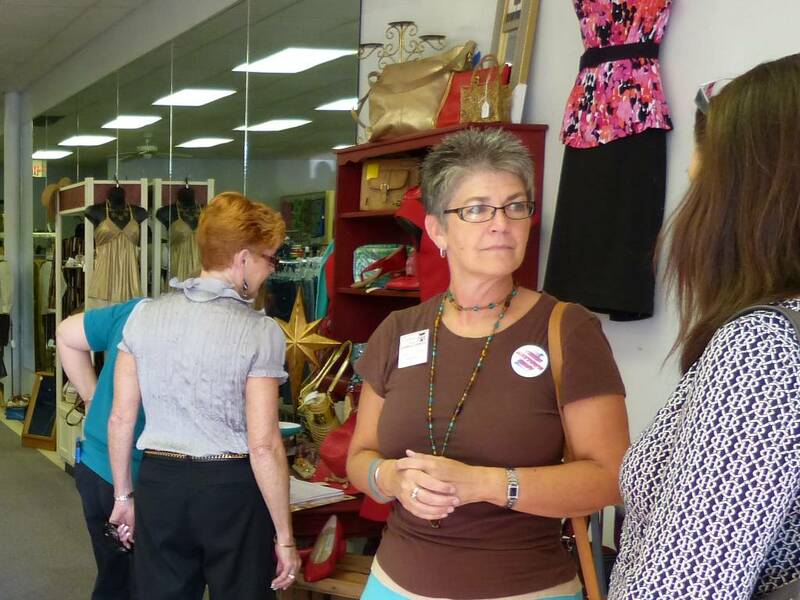 This months Raytown Chamber of Commerce Coffee was held at the Center 63 Boutique. 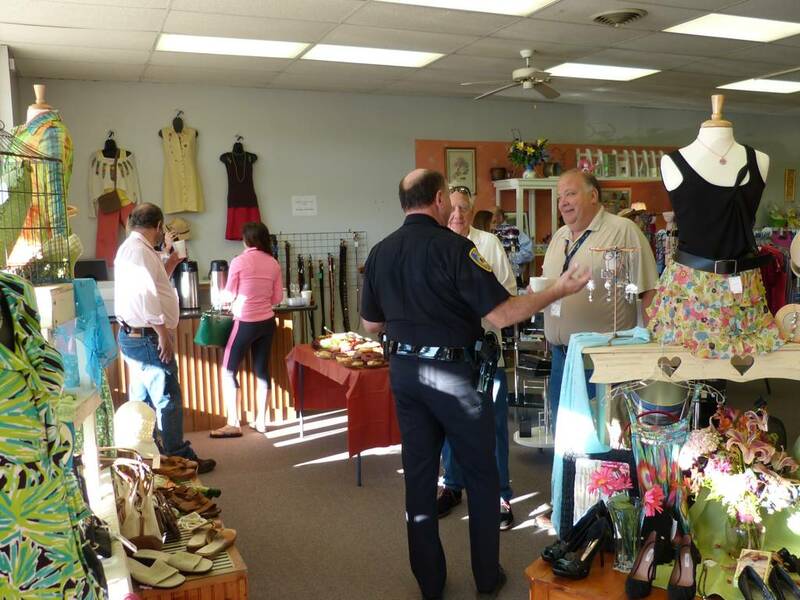 Since the last time RaytownOnline.com visited Center 63, they have added a men’s clothing rack and the inventory has changed. 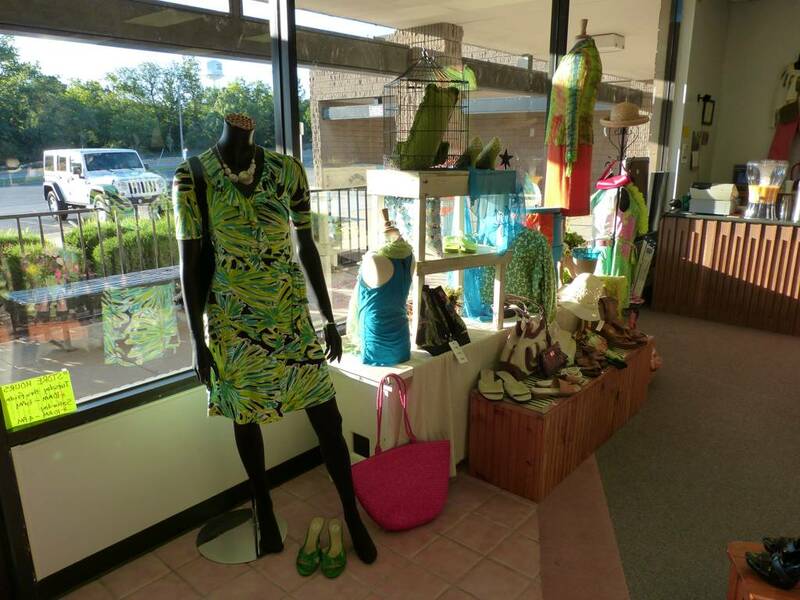 Center 63 is essentially an upscale used clothing store with other items like jewelry and decorative items. Most of the inventory ranges from nice to very nice. 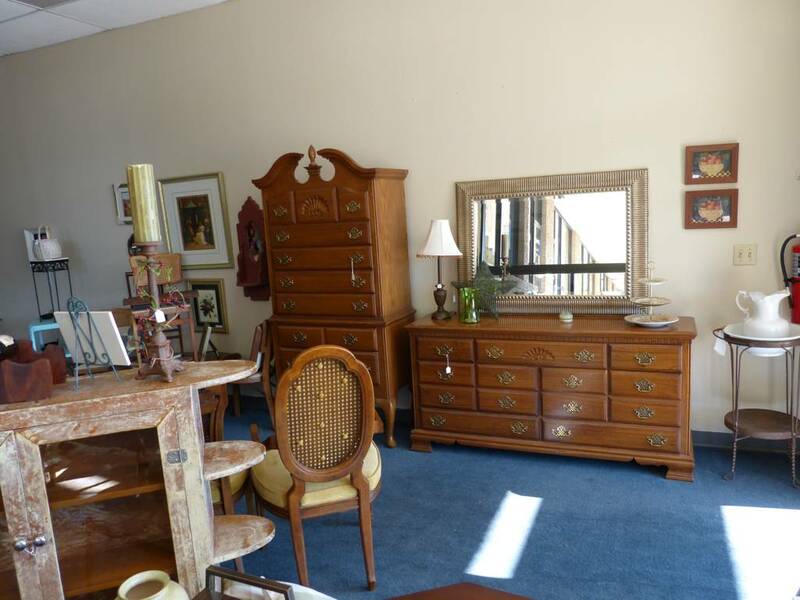 There is a major change coming, they are adding a used furniture store, located a few doors North of the clothes store. 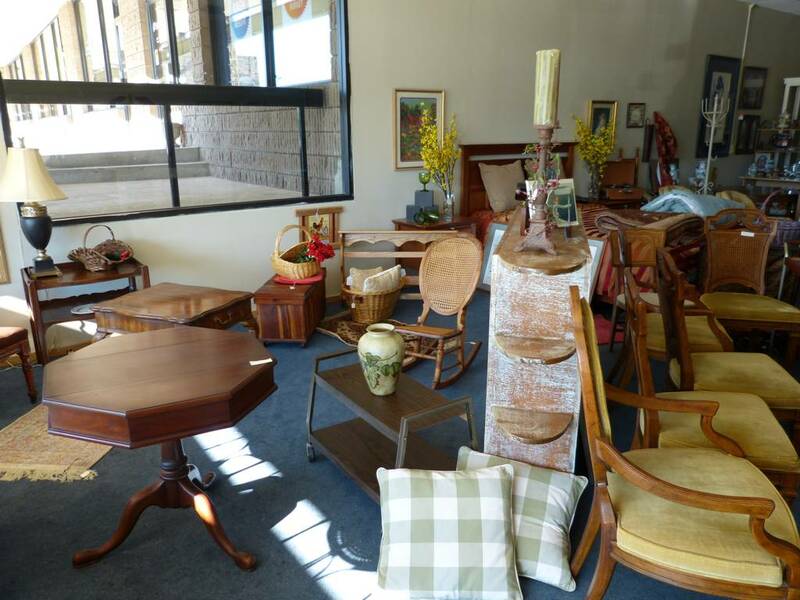 The official opening for the furniture store is about two weeks away. Below is a sneak preview of some of the items already in inventory. 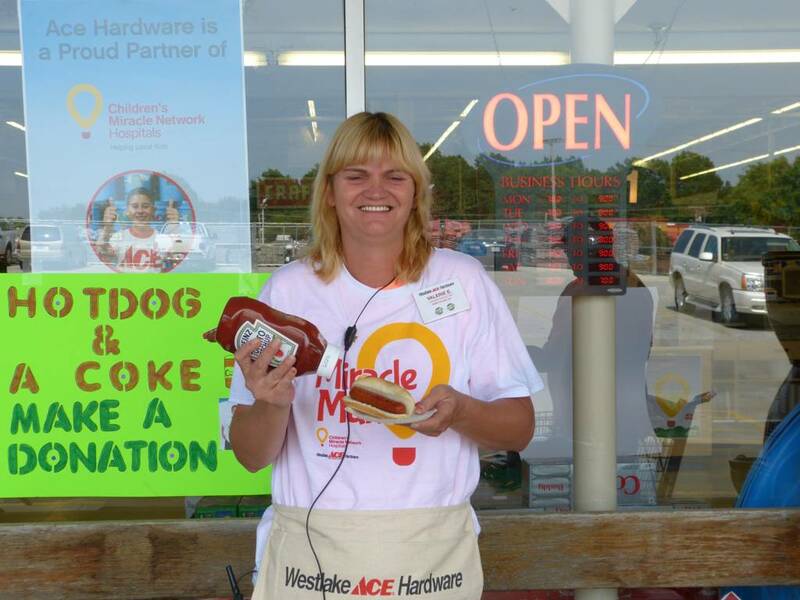 Want a GREAT hotdog? 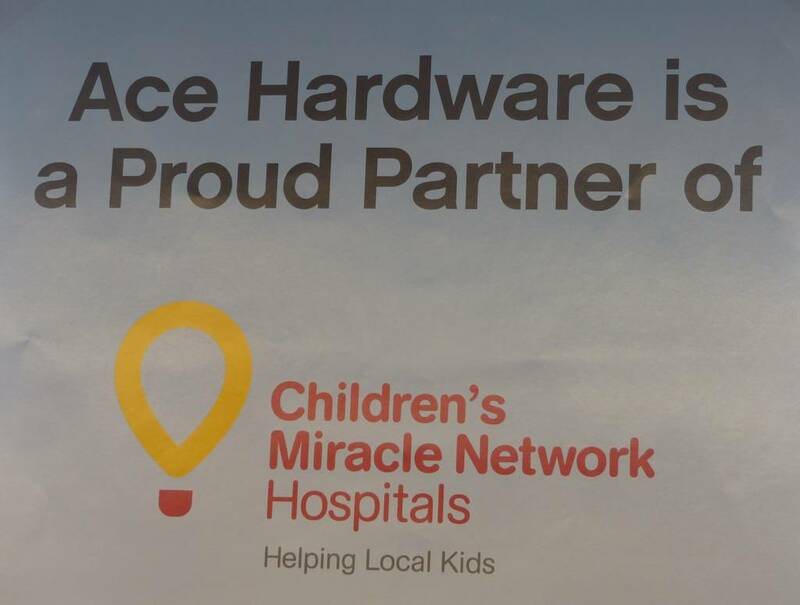 From 11:00 am to 2:00 pm this Saturday and Sunday, you get a great Hebrew National hotdog and a soda for a donation to the Children’s Miracle Network Hospitals. 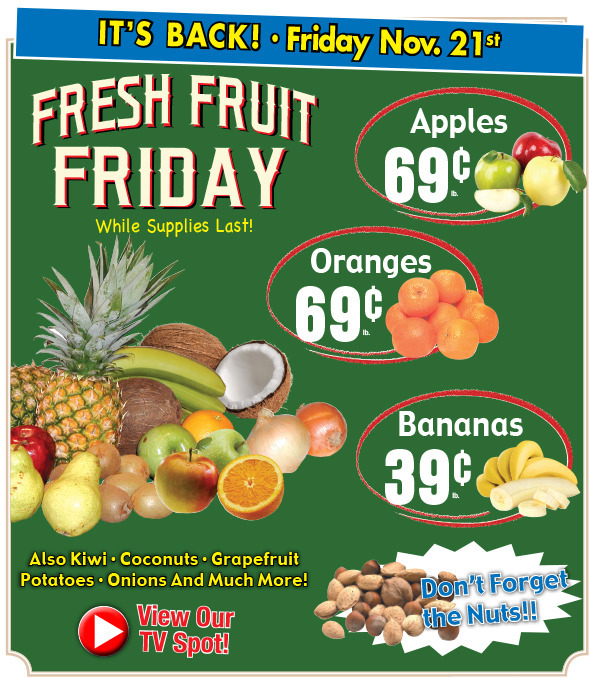 The location is Westlake Ace Hardware, just East of Raytown Road on 350 Highway. I bite into one and noticed that it was way above the average frank, so I ask the griller what was the brand and he showed me the package. Hebrew Nationals ranks up in the top 4 or 5 premium hotdogs in the country in my opinion. They are ALL beef, and on the level of Nathans, Vienna, or Sabretts in quality and number of devotees. 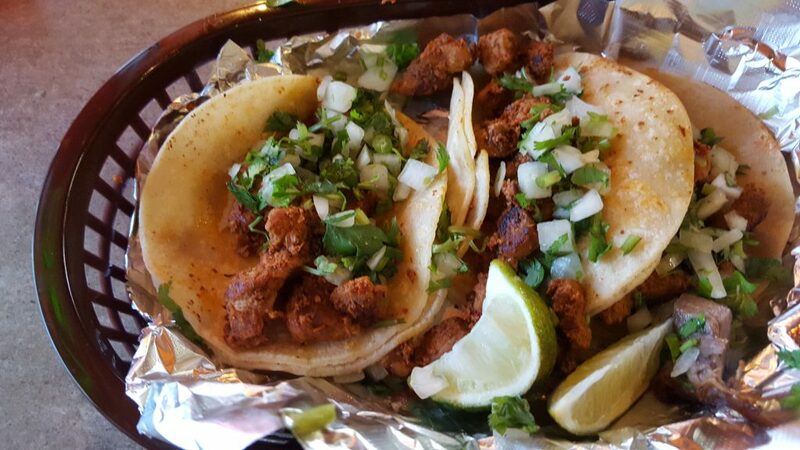 I am going back to eat a couple more. 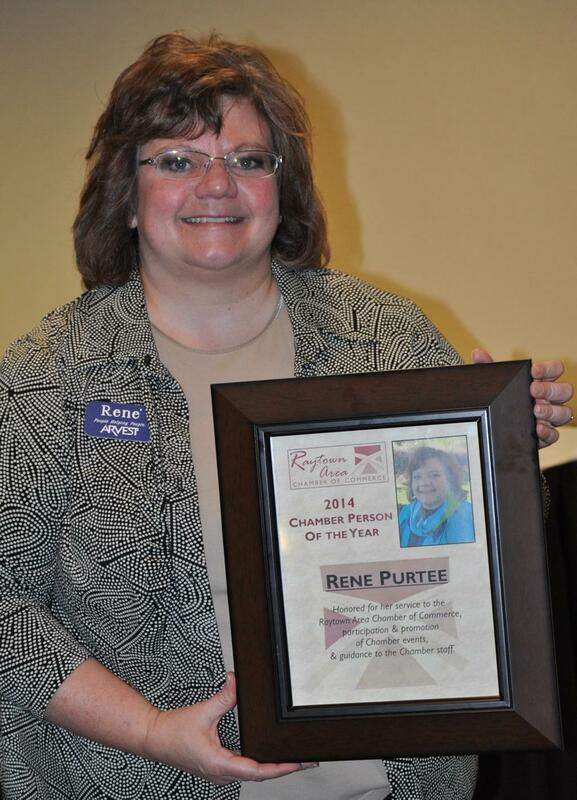 The Raytown Chamber of Commerce had their morning coffee at Planet Fitness last week. I was impressed, clean and a huge number of machines at a price that is a lot less than my old YMCA monthly dues. 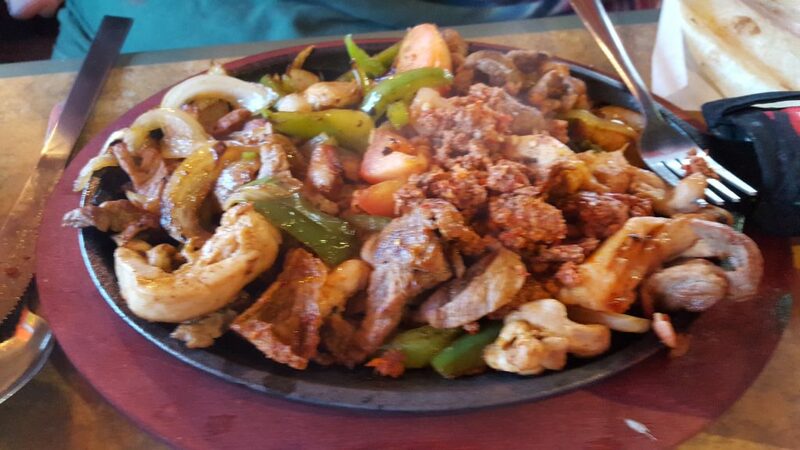 Huge may be an understatement. Take a look at a one minute video and get an idea of how small the chance is that you will ever wait for a machine to be available. Planet Fitness is located just East of Price Chopper on 63rd Street in the Brywood Shopping Center. This years Raytown Chamber of Commerce Legislative Forum was much more lively than previous forums. The elected officials (or in the case of Claire McCaskill her representative) were ask questions about recent legislation. The recent tax cuts on business and income and the proposed sales tax and gasoline tax increases were supported by the Republican panel members. County Legislator Bob Spence) and State Representative Mike Cierpoit took the position that the tax cuts would stimulate growth in the economy and create jobs. State Representatives Bonnaye Mims and Tom McDonald maintained that the cuts favored business and the wealthy, would cause major budget shortfalls that would hurt education. The two Democratic Representatives also maintained that the increased sales and gasoline taxes would cost the middle class and the poor more than the cuts would save them. The forum ended on a high note, with Representative Mims thanking Representative Cierpoit for his help in obtaining funding to restore the Jackson County Courthouse. County, State, Federal officials to give updates on legislative issues. Bob Spence, Jackson County 6th Dist. 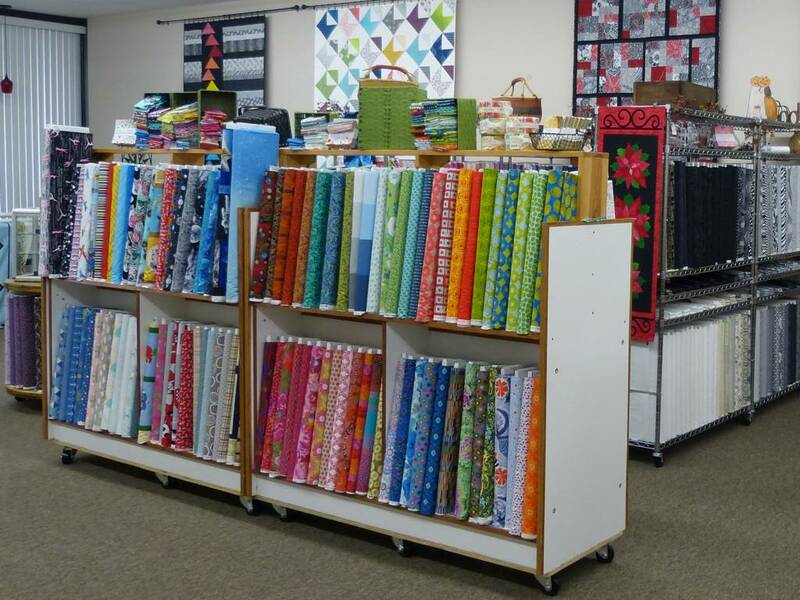 Show-Me Quilting does it all, at least when it comes to quilts. 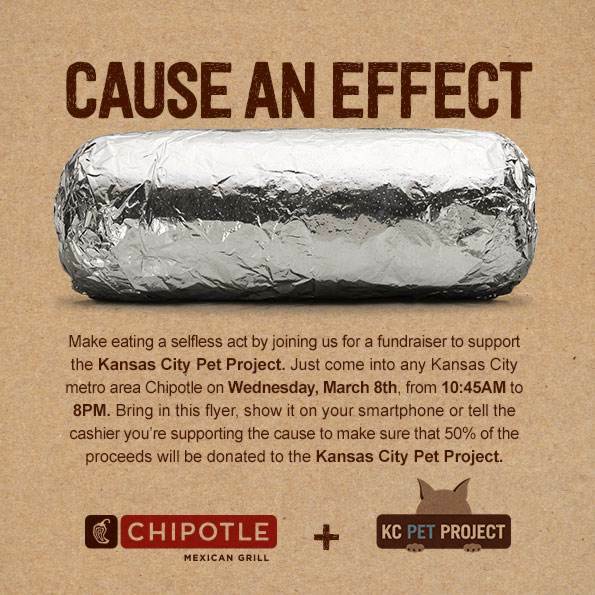 It is located in the Raytown Plaza, just North of 63rd Street on Blue Ridge Blvd, on the East side of both the road and the Raytown Plaza Shopping Center. 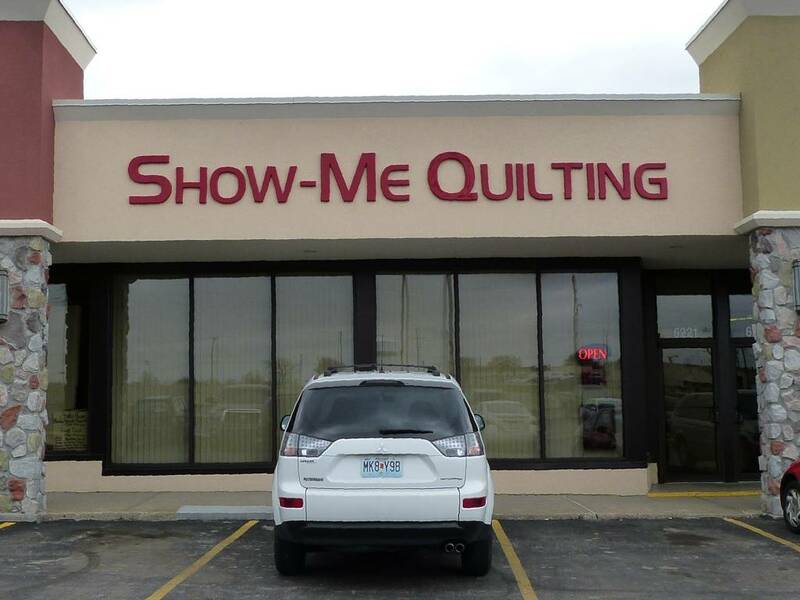 At Show-Me Quilting you can buy a quilt or you can buy materials and equipment to make a quilt. 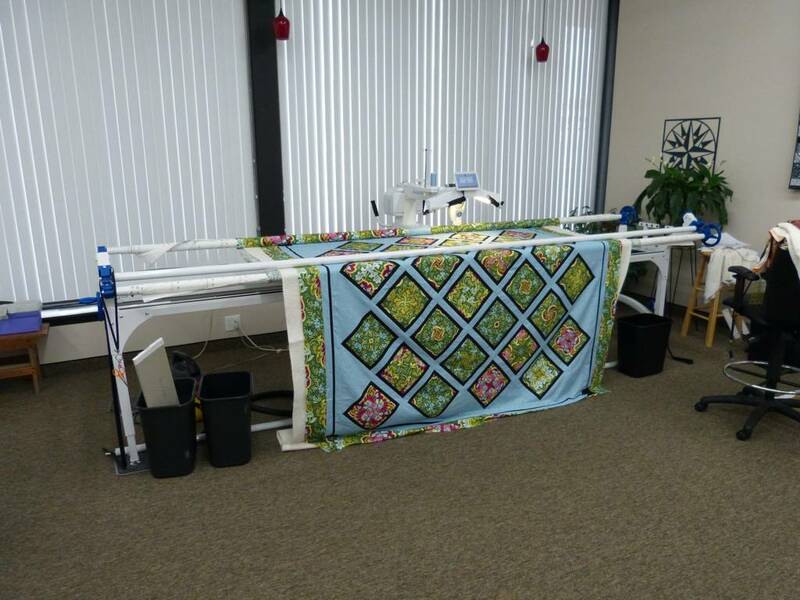 The store also offers classes in quilt making and will rent time on various sized quilt making machines if you want to make your own quilt, but do not have the money or space required to own your own machine. 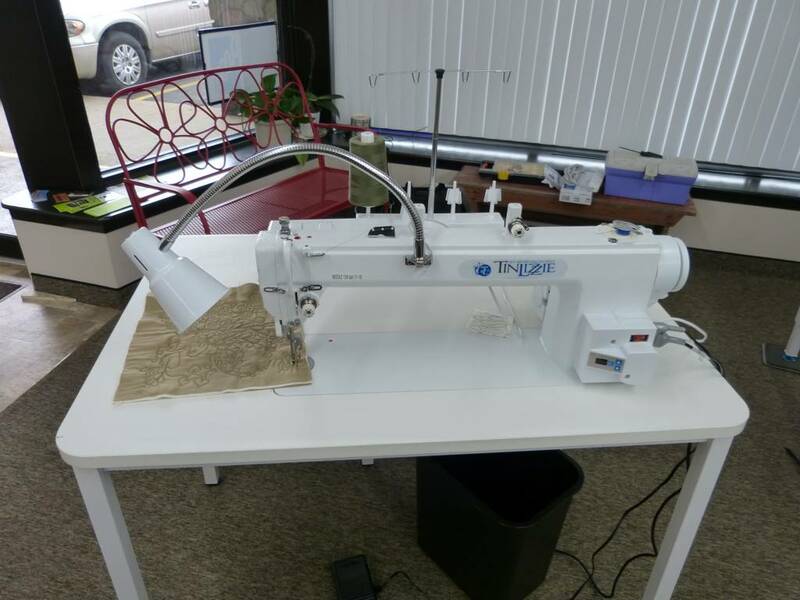 The machines range from something that looks like a sewing machine on steroids to ten or twelve feet long giants that look more like something more fitting in a factory than a living room. 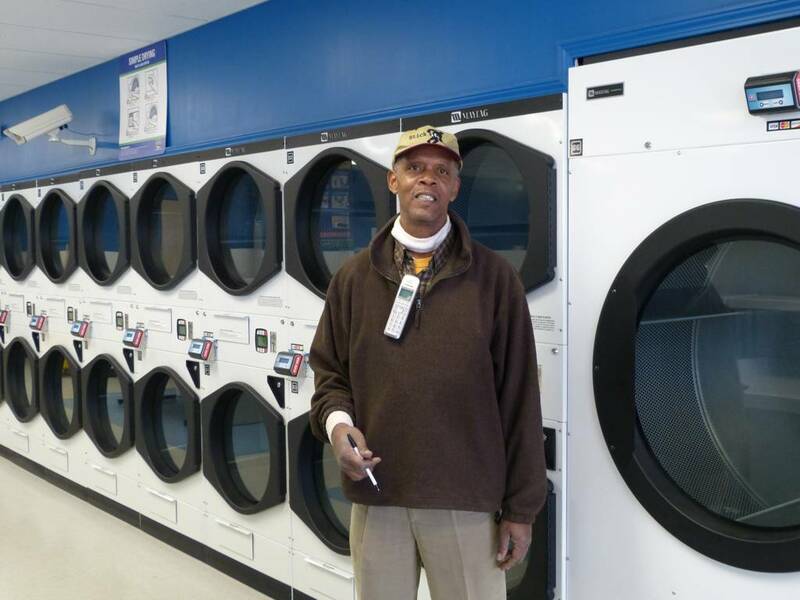 The Raytown Plaza Laundry is located in the Northwest corner of the Raytown Plaza (6121 Blue Ridge Blvd.). 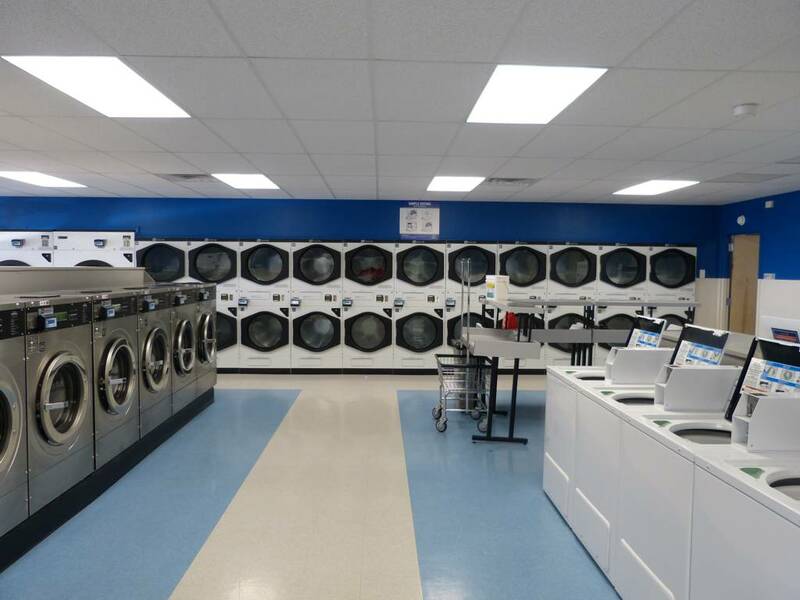 It boast a huge selection of Maytag machines of all types and sizes. 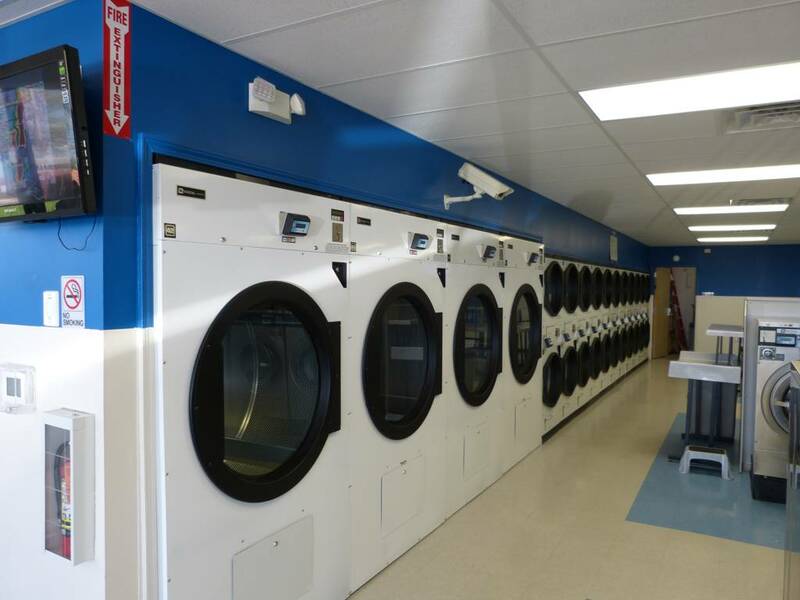 The equipment is new and the laundromat is very clean. 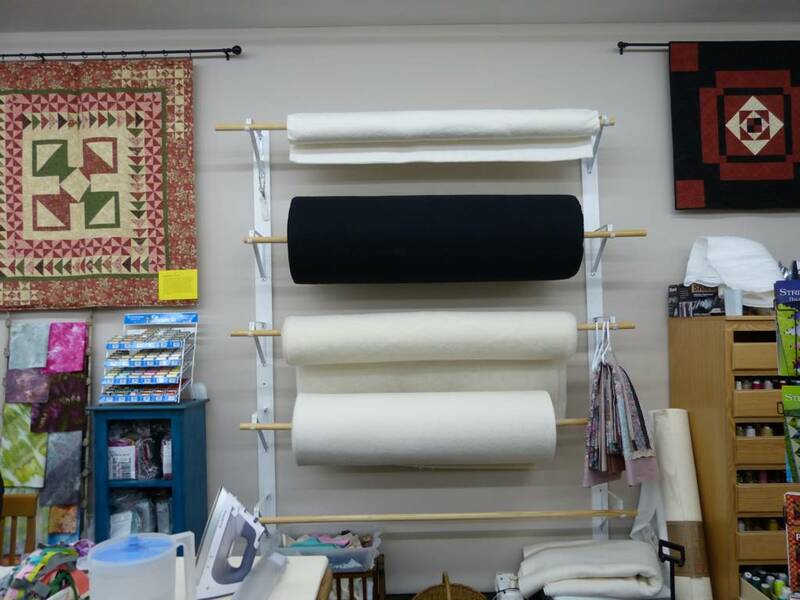 It is best suited for someone who wants to get the laundry done quickly, It is a little weak on the lounging area, so if you want a laundry to kick back and hangout in, this is not the place. 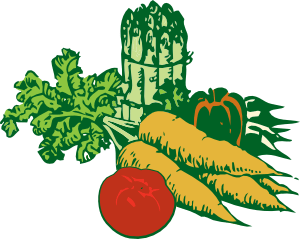 The only distraction to perfection is the ratio of prep areas to machines could be better, but Manager Ray McDaniels stated that there are plans to increase the number of preparation stations. The existing preparation stations are very nice. Raytown SummerFest has taken on several changes the past few years and with those changes, the Raytown Chamber felt 2013 was going to be a banner year. For various reasons, the event did not evolve the way we thought and when Mother Nature came in on Saturday, the event was a wash. 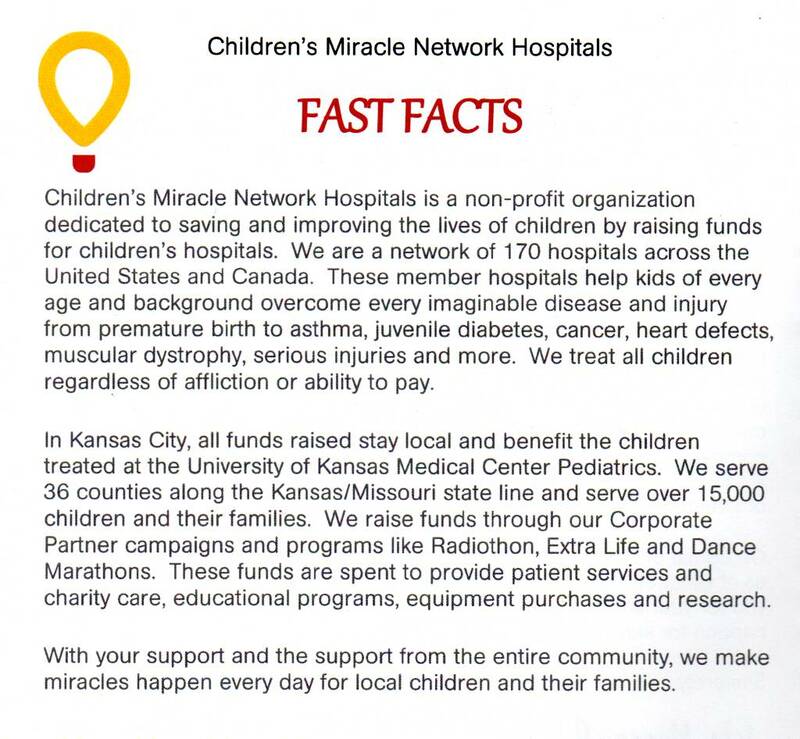 Immediately following the event, Chamber Staff and the Board of Directors reviewed the income and expenses, the year-long commitment to the organization of the event, the number of volunteers needed, the community’s participation and, of course, the amount of space needed for the event itself. Chamber Staff took the time to visit with some of the larger sponsors, the volunteers who worked the entire weekend and some of the vendors who had been a part of the event for several years. The Board of Directors took all of the recommendations into consideration and also discussed the option of continuing the event since it was making budget but without the support of the community, it would not be considered a true success. So after a long and hard process, it was decided to take a year off from planning festivals. 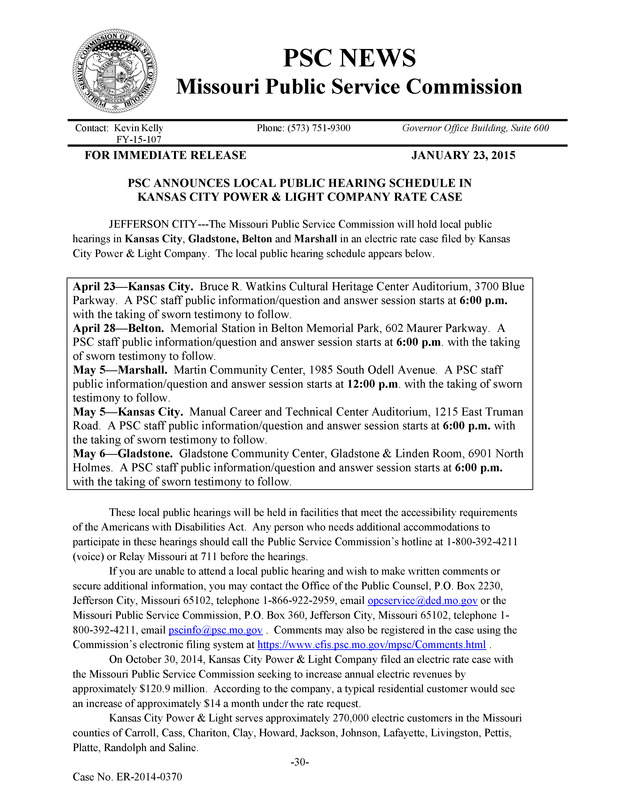 So, a festival sponsored by the Raytown Chamber is not planned for 2014. Over the next year, the Chamber will meet with various organizations to assess what amount of time will be put towards community events whether the Chamber is the one in charge or partnering with another group or helping other events within the community succeed. 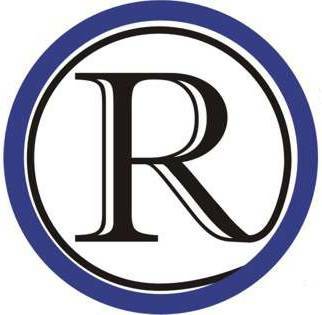 The Raytown Chamber will continue to be an advocate for the businesses in this community and to help promote the City of Raytown. * The Chamber released this a while back, but I missed it due to covering the election.